These are good value Chinese manufactured air pumps. Basically these are small compressors that use a magnetic driven piston and diaphragm. High pressure high volume pumps that are excellent for many applications such as airlift pumps, deep water circulation and multiple airstones. Not UL listed for outdoor use however a protective vented box can be placed over the unit. 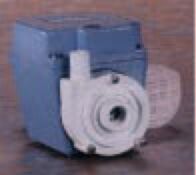 Outlet is a 1/4″ barb but is also provided with a 3/16″ barb. Carries a six month warranty. Noise levels are from 54 to 60 dB. Runs on 115V/60 Hz. Power cord included. Repair kits available. Tested for over 1 year for constant output.